Owning an iPhone or an iPad is a strong indicator that someone has a high income, according to a study from the National Bureau of Economic Research, with both of Apple's mobile devices found to be one of the most common wealth status symbols of all brands and products. The paper, "Coming Apart? Cultural Distances in the United States over Time" by University of Chicago economists Marianne Bertrand and Emir Kamenica, analyzed trends in differences between groups of people, including income, education, gender, race, and political ideology. Business Insider reports part of the paper covers the usage of brands by people with different levels of wealth in 1992, 2004, and 2016, with iOS devices topping the list for the most recent year examined in the study. 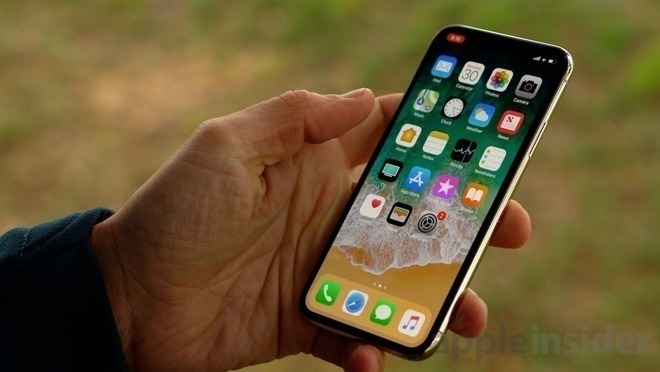 According to the data, if the respondent said they owned an iPhone, this gave the researchers a 69.1 percent chance of determining the person had a "high income" and were in the top quartile for income. An iPad gave similar results with a 66.9 percent chance, while owning an Android smartphone was in fourth place at 59.5 percent. Seven of the ten spots in the 2016 Brands list are technology related, with using Verizon Wireless in third with 61 percent, owing a HP printer or fax machine at 58.2 percent, using AT&T for cellular at 58.1 percent, and owning a Samsung TV scoring 58 percent. The results for 2004 highlight how technology-focused 2016's list is, with owning a Toshiba TV in seventh place at 58.3 percent for that year, while using AT&T for long-distance call services was in eighth position with 57.5 percent. Goth the iPhone and iPad's 2016 percentages are also far higher than the highest indicators in the other two monitored years. The highest indicator for 1992 was the usage of Grey Poupon Dijon mustard at 62.2 percent, while 2004's biggest indicator was using Land O' Lakes Regular butter at 59.2 percent. 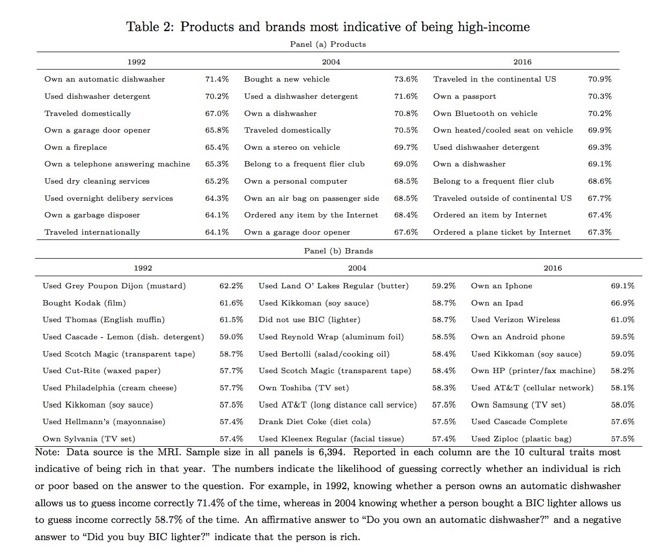 "Across all years in our data, no individual brand is as predictive of being high-income as owning an Apple iPhone in 2016," claim the researchers. As with other survey-based analysis of nations, there are some caveats to the research, and part of this may be from its methodology. In this case, the researchers sourced data from Mediamark Research Intelligence, which used bi-annual questionnaires and interviews, with a sample size of 6,394. This is not the first time Apple products have been linked to affluence. A 2009 study into computers and electronic device usage in U.S. households noted 36 percent of Apple computer owners reported household incomes greater than $100,000, compared to 21 percent of all consumers. Apple households also owned double the number of consumer electronic devices compared to the average computer-owning household at the time.